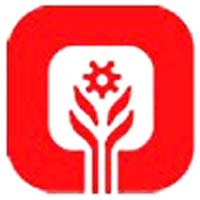 Rajkot Nagarik Sahakari Bank Limited (RNSB) Rajkot Published Recruitment Notification for Junior Executive (Trainee) Posts. View More Details About This Recruitment Including Total Posts, Posts Name, Qualification, Job Location, Age Limit, How To Apply etc., are Given Below. Qualification : First Class Graduate (Except Arts) OR Any Post Graduate (Except Arts). However, PGDCA / DCA / JAIIB / CAIIB / COPA (With One year Apprenticeship) Preferable. Experience : Two years Experience in any Co-Operative Bank or any Financial Institute is Preferable. Candidate Should be well Versed with Computer Knowledge.